Retrofits to existing stormwater control structures and have constructed new exfiltration trenches, catch basins & manholes, and roadside swales to deal with repeat flood losses. Retrofits seamlessly integrate both green (grass swales) and grey (pumps, trenches) components. 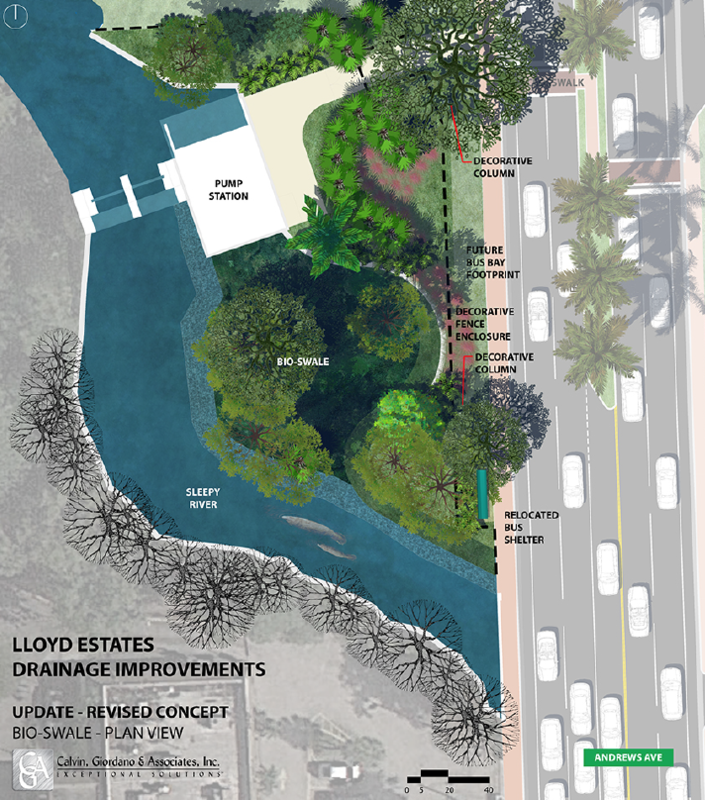 Responding to repeated flood losses - including a severe storm in October 2011 - Oakland Park, FL has implemented new flood control infrastructure at Lloyd Estates and Sleepy River Neighborhoods. Specifically, they've implemented retrofits to the existing stormwater control structures and have constructed new exfiltration trenches, catch basins & manholes, and roadside swales. 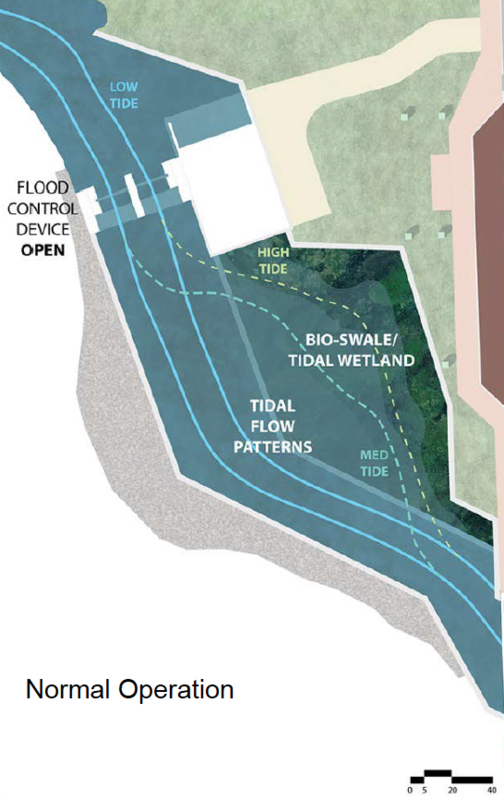 City of Oakland Park used/is using combined green & grey flood control infrastructure to address this/these challenge(s). The cornerstone of the new drainage system is the new Sleepy River Stormwater Gate and Pump Station. 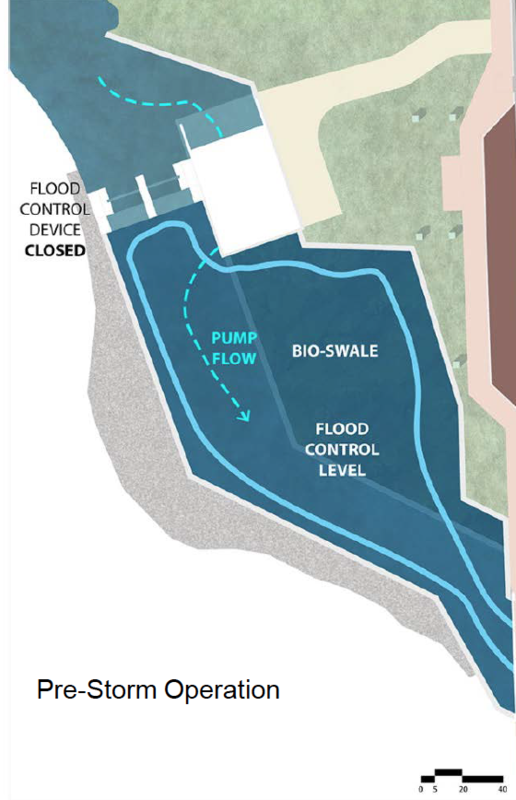 This new station allows the City to control rising sea waters and tides from entering the neighborhoods and allows the discharge of possible flood waters, through the new 4 pumps. 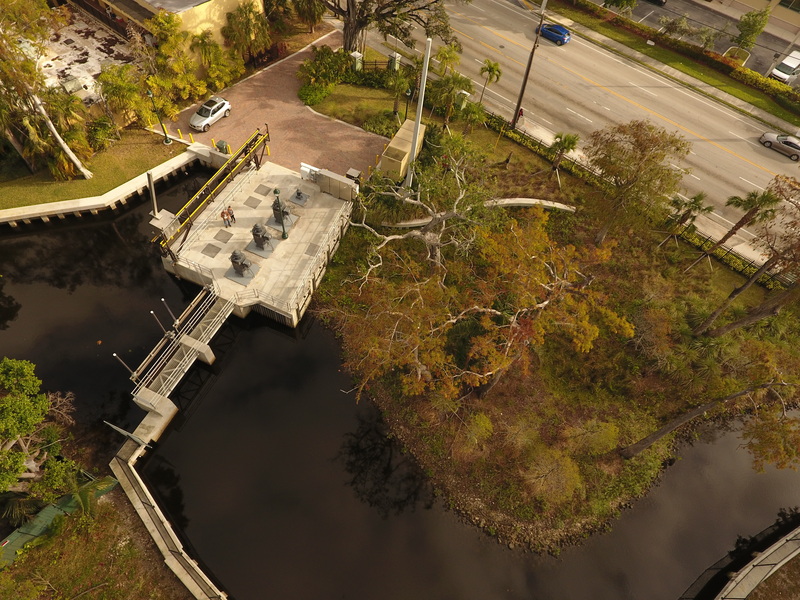 This project was constructed by the City and its contractors (initial operation was in January 2017) using Federal Emergency Mangement Agency (FEMA) and Florida Department of Emergency Management (FDEM) grant funding. 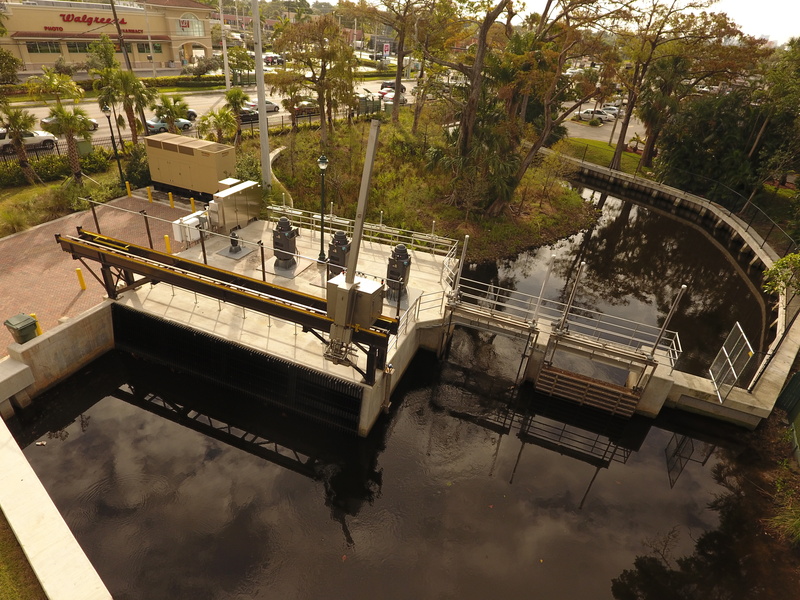 The new system maximizes the natural permeable soil in South Florida with the improvement and installation of grass swales within the non-paved Right-of-Way; construction exfiltration trenches to further accelerate moving the rain water underground; discharging any additional water into the natural receiving waters; and increase the discharge rate of the natural streams through the new pump station. Increased the discharge rate of the natural streams through the new pump station. Improved environmental conditions through grass swales & discharging additional water into natural receiving waters. Constructed using FEMA grant money.